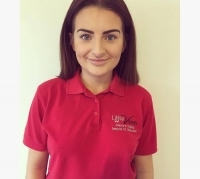 Here at Little Voices Kirkham we welcome children aged 4 – 18 years providing Performing Arts training teaching Singing and Drama to the highest standard whilst building confidence and promoting children’s personal and social development. These lessons are for 7 – 12 year olds with a maximum of 6 pupils, organised by age, ability and friendships. Working on scenes of Musical Theatre for LAMDA Examinations from shows such as Matilda, Shrek and Hairspray. As well as working towards termly showcases a chance for pupils to share what they have learnt with parents, friends and family. Call Ellena and ask for specific lesson times. Lesson times depend on child’s age and ability.